Here is the publisher’s blurb. I’d suggest only reading this much of it. It gives away too much of the story, IMHO. I picked this book based solely on the cover, title, and the author’s name. I read an advanced review copy ebook from Netgalley. We call them ARC’s. If you subscribe to different services or get on publishers’ lists, you can receive ARC’s of books to review before they are released. It’s pretty cool. I am not sure how to comment on this without giving anything away. Basically, I really like it even though I don’t like any of the characters in the book. 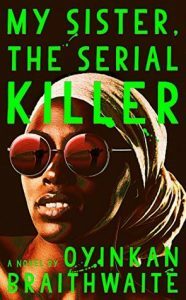 Although I can’t really tell they are in Africa, I was glad it was a novel written by an African woman. I was disappointed about that part. This story reads like any other story of a place I have never been in the USA; except for a few words (that I hope will have definitions in the finished publication), the traffic police, and a mention of a chief. As I read I thought they must be in Nigeria because that is where the author lives but I never could recall the name of the city. 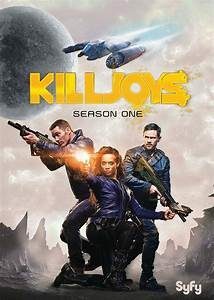 Since it’s a great character driven story, not much detail about the city/country where they live. Korede is the older sister who enables Ayoola, her younger spoiled sister (as does the entire world cuz she is just that pretty). Right off the bat I am not that sympathetic to either of the sisters. Korede cuz she complains bitterly about Ayoola but says nothing and keeps enabling. Ayoola cuz she is a killer and a spoiled brat. Yet I really liked this book. It was quite thrilling in some parts and the other parts were equally fascinating. I did read parts out of order. The chapters titled Father intrigued me. I had a theory about his death and wanted to see if I was correct. I also read ahead because I wanted to know if Ayoola killed Korede’s crush. It’s a short read so I had already read a third of the book by the time I skipped around. It was a great, fun read. I hope she writes more and that they get published/released in the USA as well. 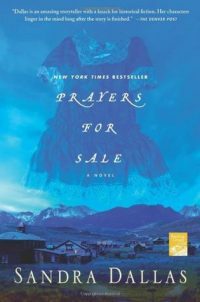 Prayers for Sale is one of Sandra Dallas’s most popular novels. Eighty-six-year-old Hennie Comfort tells us the story of her last months in the mining community of Middle Swan, Colorado in 1936. She is a widow and her daughter wishes for her to move to Illinois before the snows come. Hennie forms a friendship with a young newlywed girl named Nit Spindle who has recently moved to the Rocky Mountain town. Nit sees the sign outside of Hennie’s fence that states “Prayers for Sale.” Hennie does not actually sell prayers but will invite a person in to hear the story of the sign. Hennie also has a quilting group who meets at her house. She invites Nit to attend and we meet more women from the community. As the story progresses, Hennie tells Nit many stories about her life and the people in the town. This is a story about these two women’s friendship, their relationships, plus the everyday life and drama that comes with being a mining town in 1936 in the aftermath of the Great Depression. I had previously read another novel by Dallas and was not too impressed. I decided to try this one because it is the reason Sandra Dallas came on my radar and why her books are on my TBR (to-be-read) list. I liked the narrator, 86-year-old Hennie Comfort, and the way she told stories. I also liked the historical aspects, the descriptions of mining and life in high-country Colorado 1936. Dallas did not bog down the novel with copious details but enough to get a very good idea of the way things worked in that era. The other people in the town and their stories were also very interesting, not just filler. This is a quick read that at times produced surprisingly strong emotions. I like this book enough to try her other very popular novel, Tallgrass. I would recommended Prayers for Sale for people who like a slower paced novel with historical elements and is mainly focused on women’s relationships.